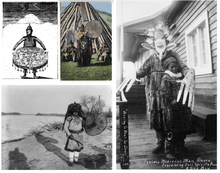 Although each culture has its own different mythologies and rituals, "animism" is said to describe the most common, foundational thread of indigenous peoples' "spiritual" or "supernatural" perspectives. The animistic perspective is so widely held and inherent to most indigenous peoples that they often do not even have a word in their languages that corresponds to "animism" (or even "religion");  the term is an anthropological construct. 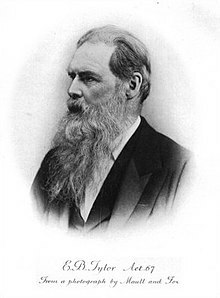 The idea of animism was developed by the anthropologist Sir Edward Tylor in his 1871 book Primitive Culture,  in which he defined it as "the general doctrine of souls and other spiritual beings in general". According to Tylor, animism often includes "an idea of pervading life and will in nature";  a belief that natural objects other than humans have souls. That formulation was little different from that proposed by Auguste Comte as " fetishism",  but the terms now have distinct meanings. Nurit Bird-David argues that "Positivistic ideas about the meaning of 'nature', 'life' and 'personhood' misdirected these previous attempts to understand the local concepts. Classical theoreticians (it is argued) attributed their own modernist ideas of self to 'primitive peoples' while asserting that the 'primitive peoples' read their idea of self into others!" She argues that animism is a "relational epistemology", and not a Tylorian failure of primitive reasoning. That is, self-identity among animists is based on their relationships with others, rather than some distinctive feature of the self. Instead of focusing on the essentialized, modernist self (the "individual"), persons are viewed as bundles of social relationships ("dividuals"), some of which are with "superpersons" (i.e. non-humans). Tim Ingold, like Bird-David, argues that animists do not see themselves as separate from their environment: "Hunter-gatherers do not, as a rule, approach their environment as an external world of nature that has to be 'grasped' intellectually ... indeed the separation of mind and nature has no place in their thought and practice." Willerslev extends the argument by noting that animists reject this Cartesian dualism, and that the animist self identifies with the world, "feeling at once within and apart from it so that the two glide ceaselessly in and out of each other in a sealed circuit." The animist hunter is thus aware of himself as a human hunter, but, through mimicry is able to assume the viewpoint, senses, and sensibilities of his prey, to be one with it. Shamanism, in this view, is an everyday attempt to influence spirits of ancestors and animals by mirroring their behaviours as the hunter does his prey. Ashley Curtis has argued in Error and Loss: A Licence to Enchantment  that the Cartesian idea of an experiencing subject facing off with an inert physical world is incoherent at its very foundation, and that this incoherence is predicted rather than belied by Darwinism. Human reason (and its rigorous extension in the natural sciences) fits an evolutionary niche just as echolocation does for bats and infrared vision does for pit vipers, and is—according to western science's own dictates—epistemologically on a par with rather than superior to such capabilities. The meaning or aliveness of the "objects" we encounter—rocks, trees, rivers, other animals—thus depends for its validity not on a detached cognitive judgment but purely on the quality of our experience. The animist experience, and, indeed, the wolf's or raven's experience, thus become licensed as equally valid world-views to the modern western scientific one—indeed, they are more valid, since they are not plagued with the incoherence that inevitably crops up when "objective existence" is separated from "subjective experience." ^ a b Stringer, Martin D. (1999). "Rethinking Animism: Thoughts from the Infancy of our Discipline". Journal of the Royal Anthropological Institute. 5 (4): 541–56. doi: 10.2307/2661147. JSTOR 2661147. ^ Hornborg, Alf (2006). "Animism, fetishism, and objectivism as strategies for knowing (or not knowing) the world". Ethnos: Journal of Anthropology. 71 (1): 21–32. doi: 10.1080/00141840600603129. ^ "Animism". Contributed by Helen James; coordinated by Dr. Elliott Shaw with assistance from Ian Favell. ELMAR Project (University of Cumbria). 1998–99. ^ Bird-David, Nurit (1999). ""Animism" Revisited: Personhood, Environment, and Relational Epistemology". Current Anthropology. 40 (S1): S67. doi: 10.1086/200061. ^ Bird-David, Nurit (1999). ""Animism" Revisited: Personhood, Environment, and Relational Epistemology". Current Anthropology. 40 (S1): S67–S68. doi: 10.1086/200061. ^ a b c Bird-David, Nurit (1999). ""Animism" Revisited: Personhood, Environment, and Relational Epistemology". Current Anthropology. 40 (S1): S68. doi: 10.1086/200061. ^ Hornborg, Alf (2006). "Animism, fetishism, and objectivism as strategies for knowing (or not knowing) the world". Ethnos. 71 (1): 22–4. doi: 10.1080/00141840600603129. ^ Torri, Davide (2010). "10. In the Shadow of the Devil. traditional patterns of Lepcha culture reinterpreted". In Fabrizio Ferrari. Health and Religious Rituals in South Asia. Taylor & Francis. pp. 149–156. ISBN 1-136-84629-8. ^ Herbert, Nick (2002). "Holistic Physics – or – An Introduction to Quantum Tantra". southerncrossreview.org. Retrieved 2014-05-01. ^ Robert Epstein (January 31, 2010). "Spirits, gods and pastel paints: The weird world of master animator Hayao Miyazaki". The Independent. Retrieved June 1, 2018. ^ Dr. David A. Ross (April 19, 2011). "Musings on Miyazaki". Kyoto Journal. Retrieved June 1, 2018. ^ Ogihara-Schuck, Eriko (October 16, 2014). Miyazaki's Animism Abroad: The Reception of Japanese Religious Themes by American and German Audiences. McFarland. ISBN 978-0786472628. ^ Lewis Bond (October 6, 2015). "Hayao Miyazaki - The Essence of Humanity". YouTube.com. Channel Criswell. Retrieved June 1, 2018. Bird-David, Nurit (2000). ""Animism" Revisited: Personhood, Environment, and Relational Epistemology". Current Anthropology. 41 (S1): 67–91. doi: 10.1086/200061. Guthrie, Stewart (2000). "On Animism". Current Anthropology. 41 (1): 106–107. doi: 10.1086/300107. JSTOR 10.1086/300107. PMID 10593728. Lonie, Alexander Charles Oughter (1878). "Animism" . In Baynes, T.S. Encyclopædia Britannica. 2 (9th ed.). New York: Charles Scribner's Sons. pp. 55–57. Thomas, Northcote Whitridge (1911). "Anet" . In Chisholm, Hugh. Encyclopædia Britannica. 2 (11th ed.). Cambridge University Press. pp. 53–55.